We reached Port Blair by 11 AM and checked into our hotel 10 minutes away from the airport in a neat area. The area seemed quiet and peaceful and we were greeted warmly by the owner who helped us with car and ferry ticket booking for the rest of the trip. In this context, I would like to let you know that it is a good idea to have some tour operator help you with the logistics as that leaves a lot of headache out enabling you to enjoy the trip without worrying about the next ferry tickets …or the next hotel availability etc. 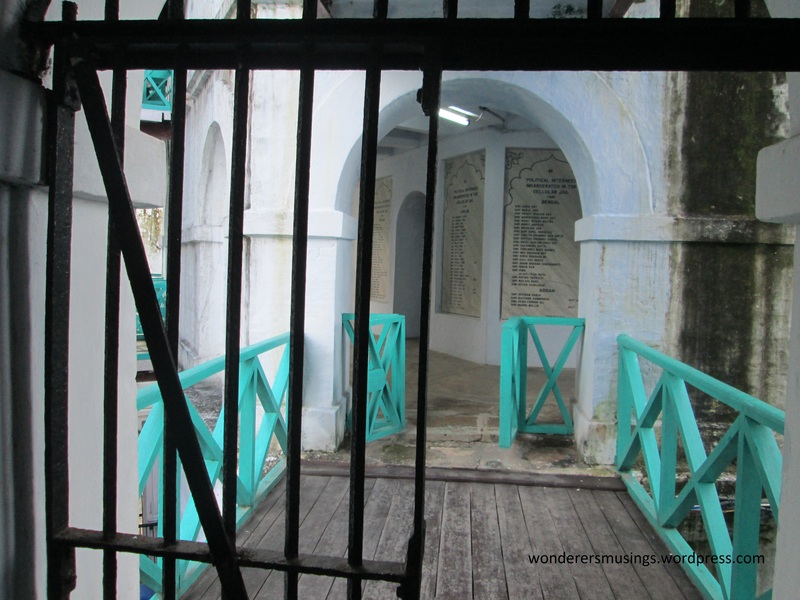 After lunch and even a short afternoon siesta (it keeps your heart well 😛 ) we went to visit Cellular Jail and Carvin’s cove beach in Port Blair a short ride away. One can take an auto from the main bazaar called Aberdeen bazaar and costs about 100 rupees. 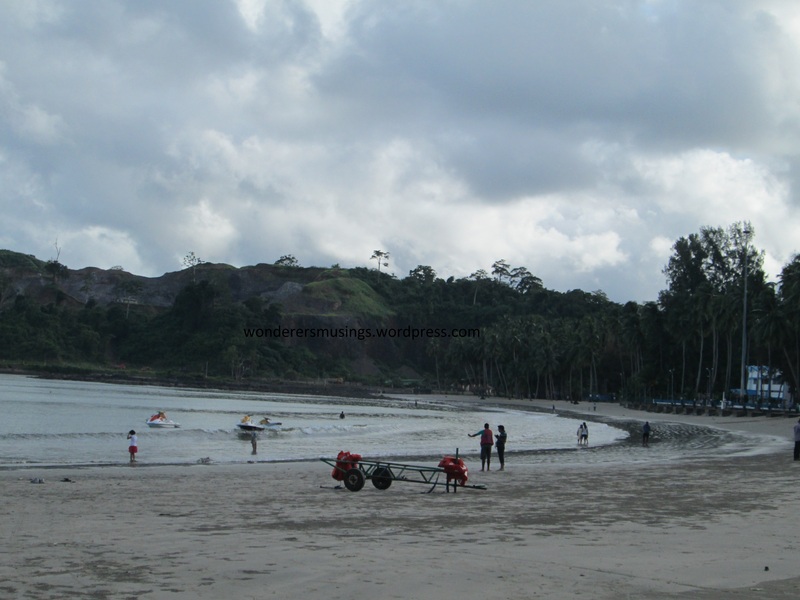 Carvin’s cove beach in Port Blair , Andaman . The beach looked wonderful in the dimmed evening light. Carvin’s Cove : This is a local beach, albeit small in size compared to the better known beaches in other islands like Havelock or Neil it is very beautiful. The beach has some options for water sports like speed boat ride and water bike riding. 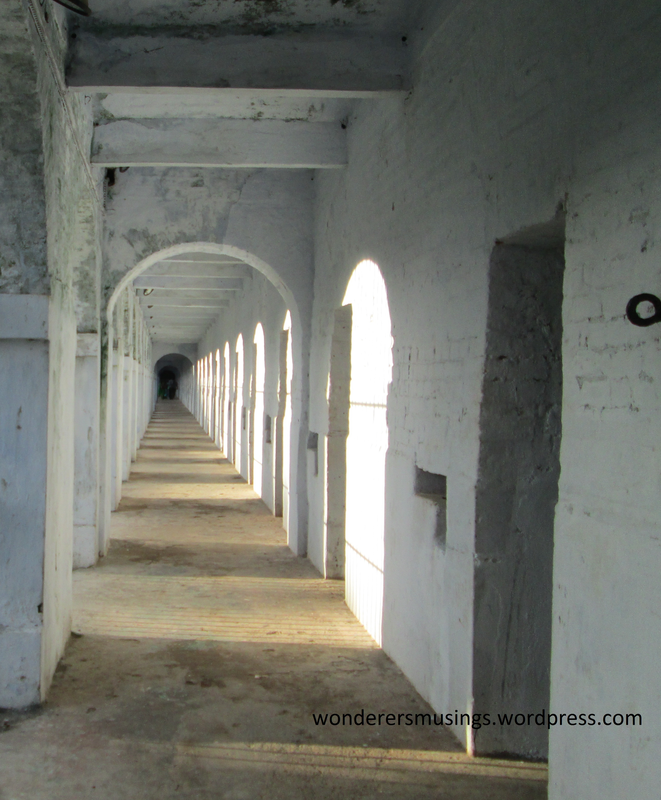 Later, we visited Cellular Jail. There are two picture gallerias at the entrance of this sacred place, I suggest you check them out, if you are an Indian, you would be prouder to see the young bright faces that were involved in the struggle and feel a bit more grateful for being born in this free country. We took some pictures, saw the cells, and the various items once used by the inmates. Captured some pictures of the corridors and the cells. I went up to the roof, and found some stunning views, I got busy with capturing them with my point and shoot.. 😀 Later we watched the Light and sound show and went back to our hotel for a good nights’ sleep, for the upcoming journey the next day. 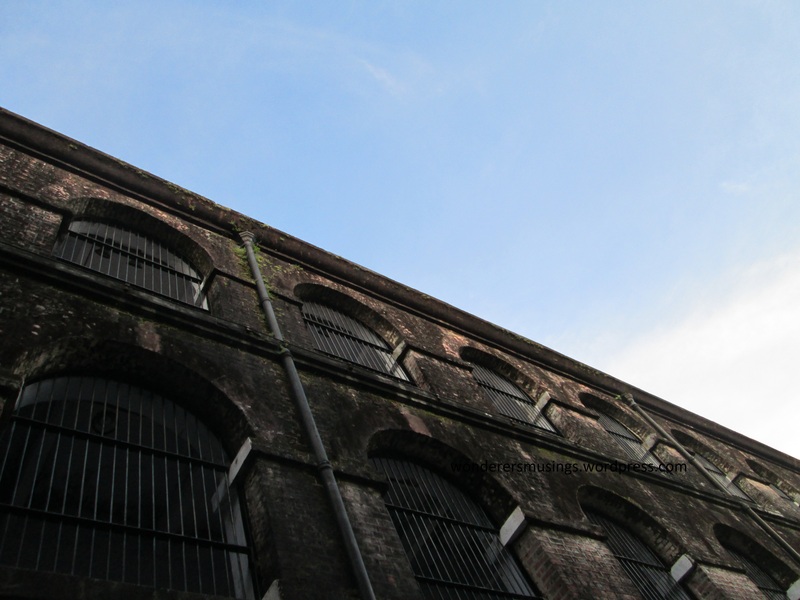 The entry fee to Cellular Jail is Rupees 10 for Indian residents, the Light and sound show has a different ticketing, which opens by 4 PM and costs rupees 50 per individual. View from the roof of Cellular Jail, notice the tiny light house in view? 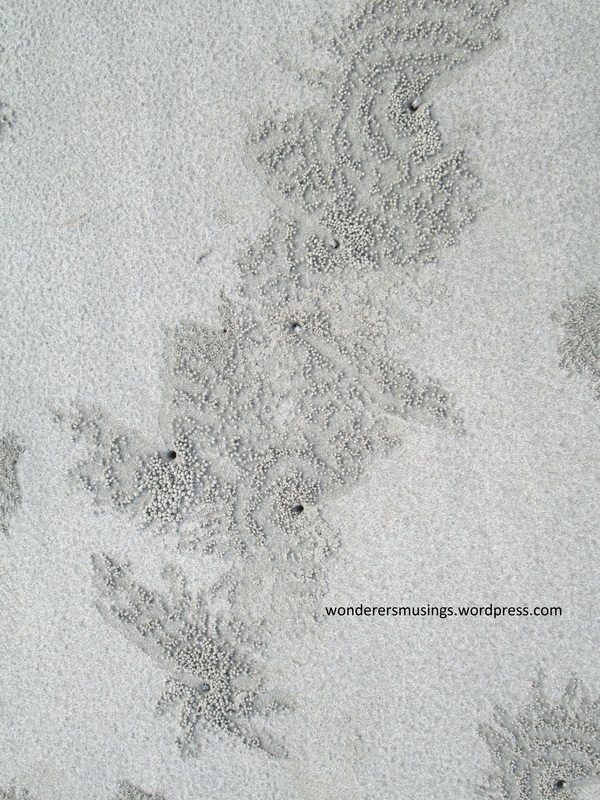 Previous Post Andaman Dreams – The trip! Pingback: Andaman Dreams – The trip! 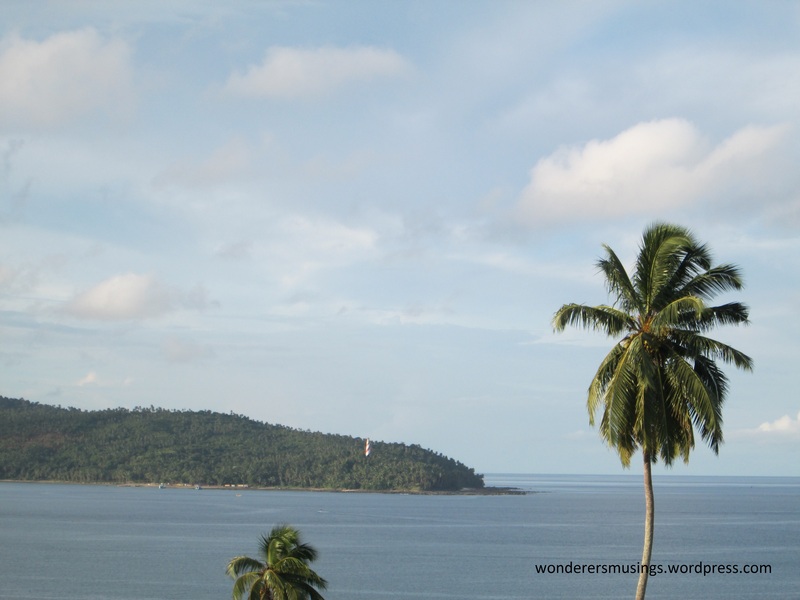 | Wander watch..
Pingback: Andaman Dreams – Travelling through Andaman Trunk Road | Wander watch.. Thank you for your appreciation! 🙂 Ever notice the 20 rupee notes we have now? The view of the lighthouse is also the one printed in them! The view from the top looks so surreal. Thank you very much for your valuable input. 😊 I have already done the change. Will keep this in mind while posting in future as well.